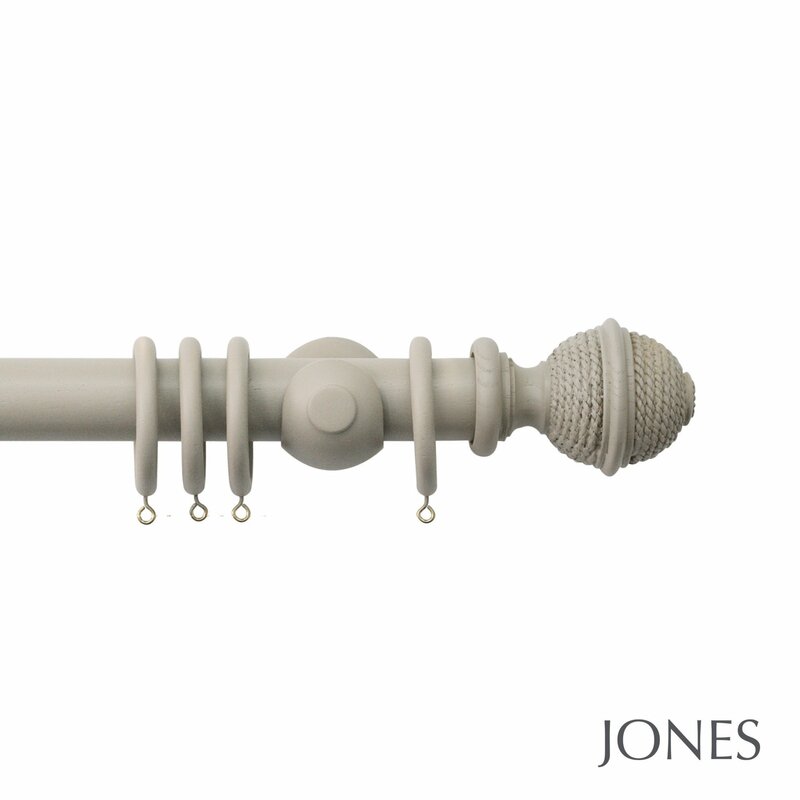 The handcrafted 40mm curtain poles in the Seychelles range by Jones Interiors are subtle yet striking wooden curtain poles. The curtain poles are hand finished using traditional artisan skills. Jones’ extremely experienced craftsmen paint, stain and polish each pole in their Nottingham workshop. In today’s world of automation I felt it a privilege to see this manual process during our recent visit to Jones’ head office. The care and attention that is paid to each element of the product can be seen in the finished article. Jones have chosen a beautiful pastel pallet of colours for this range and use a matt paint to give a contemporary stylish look. Please watch our YouTube video that talks you through the information below and shows the products in more detail. 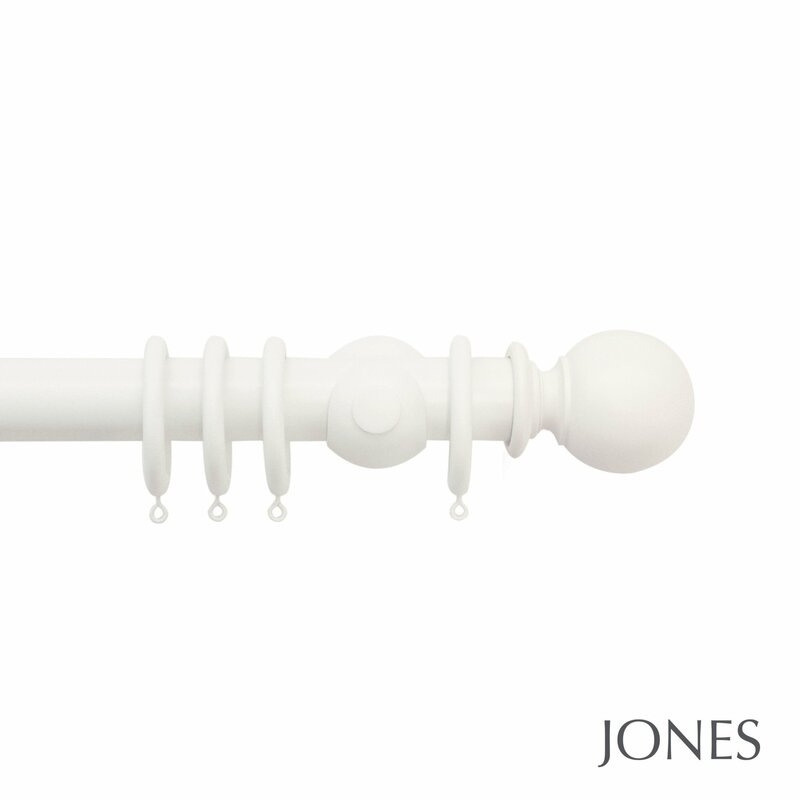 All finial styles are available in all 6 curtain pole colours. 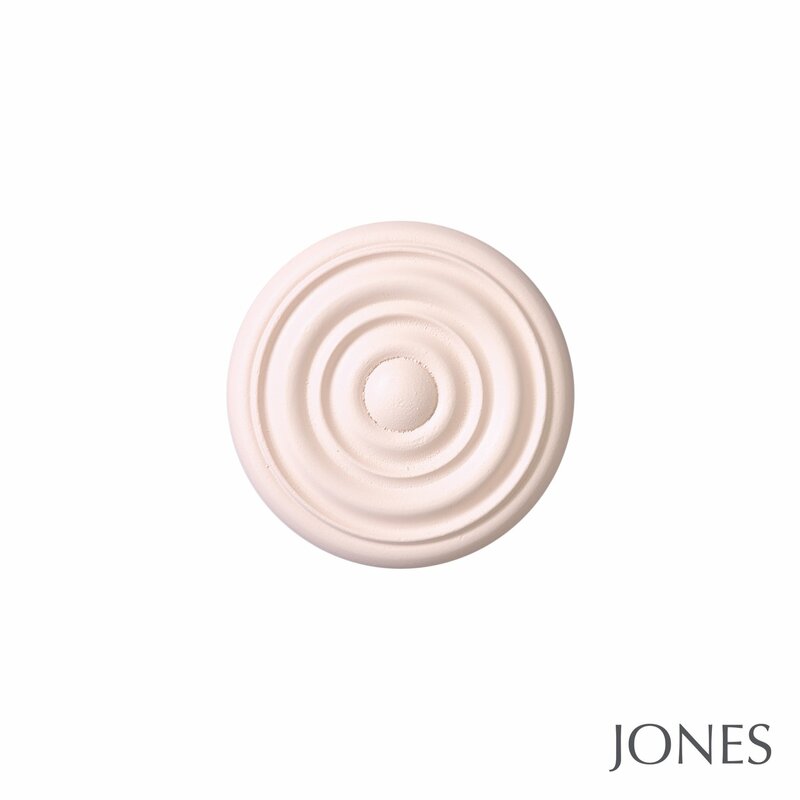 Click here to view the full Jones Seychelles range on our website. Please contact us on 01625 449039 or email sales@thehomeofinteriors.co.uk if you would like any ring samples sending out to double check the colour before you order. This is a free of charge service we offer. The blush colour really captures the ‘blush’ trend beautifully and is a great accent to introduce to a room. It works fantastically well with grey. Please read our article on the Blush colour trend. The mist and haze colours also work really well with the blue colour trend that we are seeing this season. The very popular dark blue wall paint colour hues and accessories will be well complemented with either of these curtain poles to add the finishing touches to your colour scheme. They also work well with a coastal / nautical design theme. The sand offers an off white / very light cream neutral colour. If you’d like something a little darker you may wish to consider the Truffle colour. Finally, the cotton offers a contemporary white option which looks fantastic due to the matt finish on the paint. It’s a really sophisticated white. 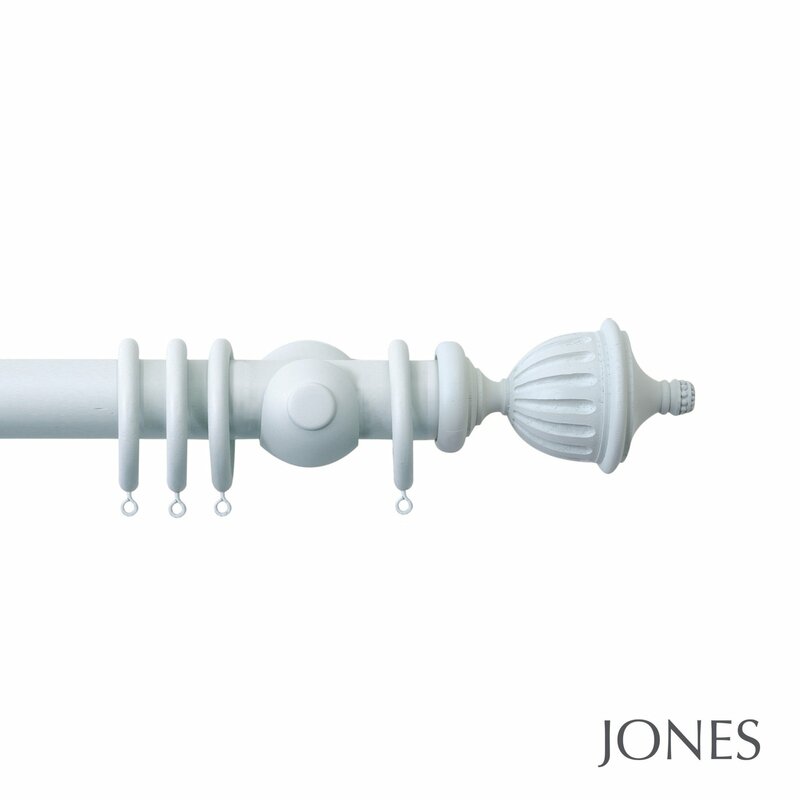 All curtain poles are available up to a 300cm length as a single pole. This means you can join 2 together with a joining screw to give you a 6m width. This is fantastic for extra wide windows or bi-fold doors. The wall fix bracket is a simple cup style bracket with concealed fixings. 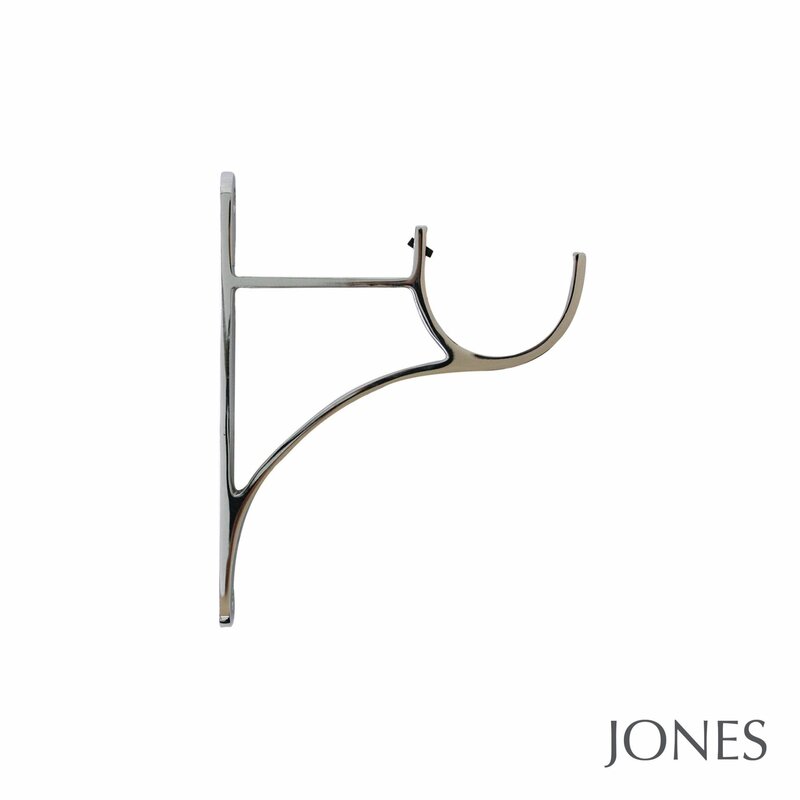 The standard wall fix bracket projects 89mm from the wall to the centre of the curtain pole. Extension brackets and metal brackets are also available. The metal brackets are available in a chrome or brass finish. If you would like either of these bracket options please give us a call on 01625 449039 or email us sales@thehomeofinteriors.co.uk and we can provide a bespoke quotation for you. We can substitute the standard brackets for your preferred bracket style so you won’t end up paying for brackets that you aren’t going to use. The extension bracket projects 175mm from the wall to the centre of the pole, and there is an 87mm projection on the metal brackets. There is a lovely disc style co-ordinating holdback available in all 6 colours to complete the look. This also works well as a tie-back hook. It measures 180mm from the wall to the front of the holdback. 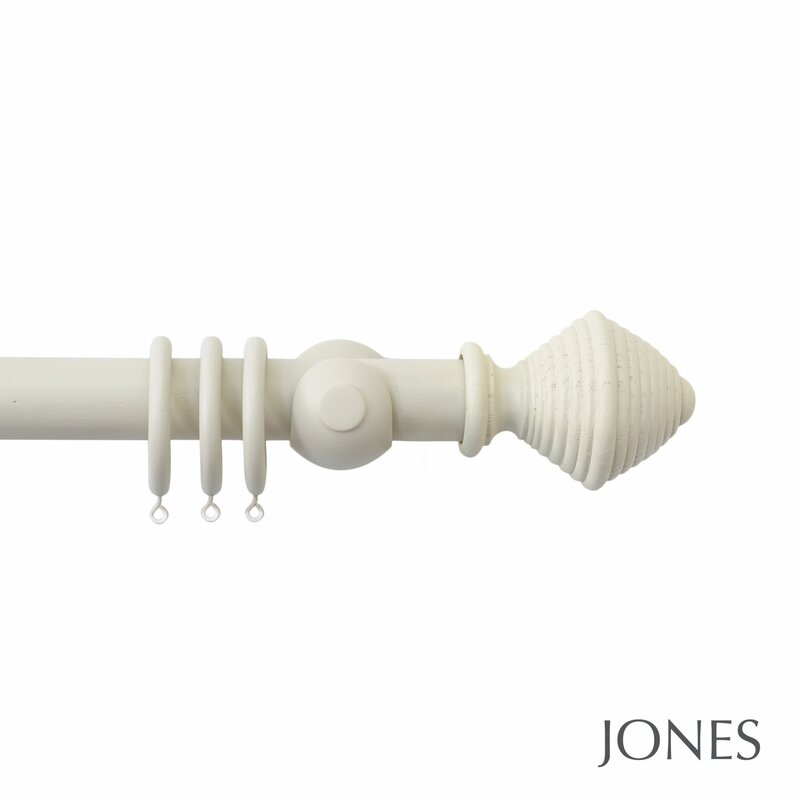 We also offer a cut to size service on the Jones Seychelles range of curtain poles Simply add the ‘cut to size’ service to your basket and let us know in the comments box at the checkout what length you would like your pole(s) cutting to. 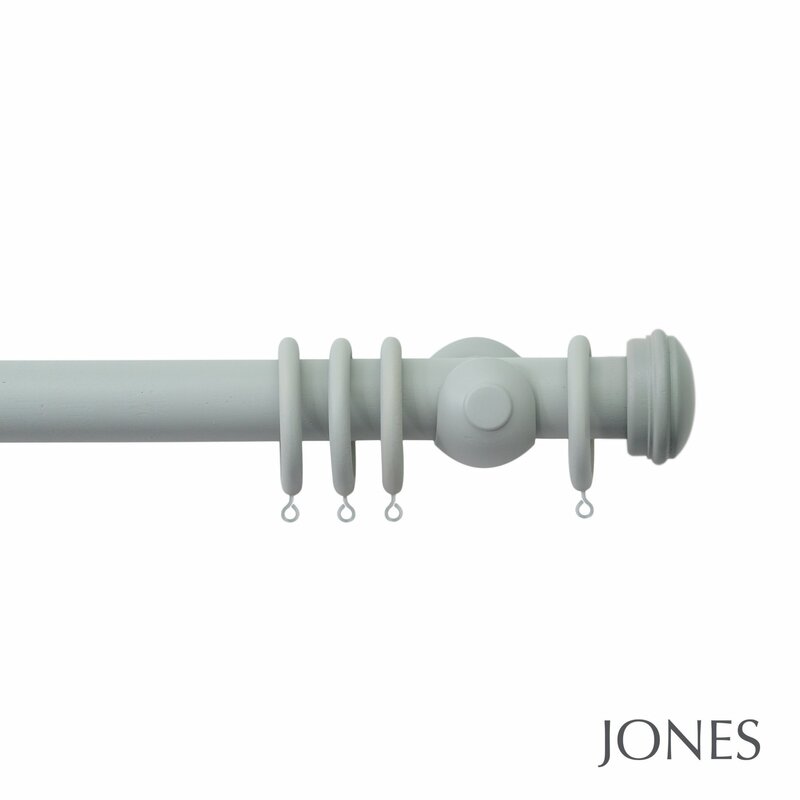 Jones also offer a bespoke paint service on all of their handcrafted wooden poles. Simply add any pole in the Seychelles range to your basket (in any colour) + the bespoke paint service charge and we can paint the whole pole set (including the curtain pole, brackets, rings and finials) to a colour of your choice. Let us know in the comments box at the checkout what colour you would like the curtain pole painted to. We will need to know the brand / manufacturer of the paint and the correct colour reference. Please let us know if you have any questions or require any further information. Debbie, Dee and The Home Of Interiors team.